Coming soon. The Weald CofE Primary School Reading Challenge. There'll be more information in the newsletter. Watch this space! 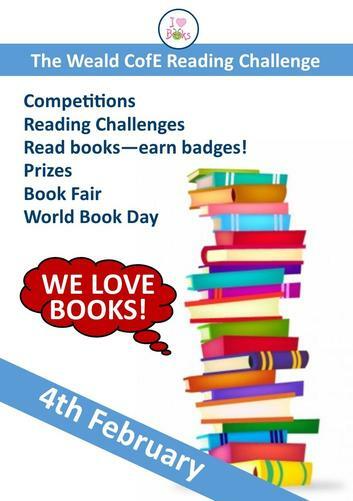 Lots of chances to earn badges, win prizes, and more importantly develop a lifelong love of reading. We are very excited and hope you and your children will be too.